which can help you reduce your cost for your concrete making. 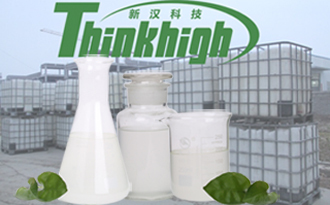 To learn more about us , pls check our website: Henan Thinkhigh Material Technologies Co. , Ltd.
Posted By: Zhengzhou Senhe Industry Co., Ltd.
China well-known professor from Tongji University. Advanced equipments, advanced technologies, and strict quality control system make us a wonderful company. As a TOP-10 PCE manufacturer in China, our products sell well. Our products are of good quality, and are thought highly of by our customers, which are widely used in hundreds of projects involving high-speed roads, high-speed railways, bridges, power stations, tunnels, dams, runways and buildings etc. Our production quantity is about 100000 tons per year. We have got ISO ISO9001 certificate, and China CRCC certificate. Our products are certified by Ministry of China Railways for China high-speed railway projects. Our company develops rapidly. We thank all our customers. We will keep being a solver of your concrete problems. We will keep "supply quality products and perfect service".